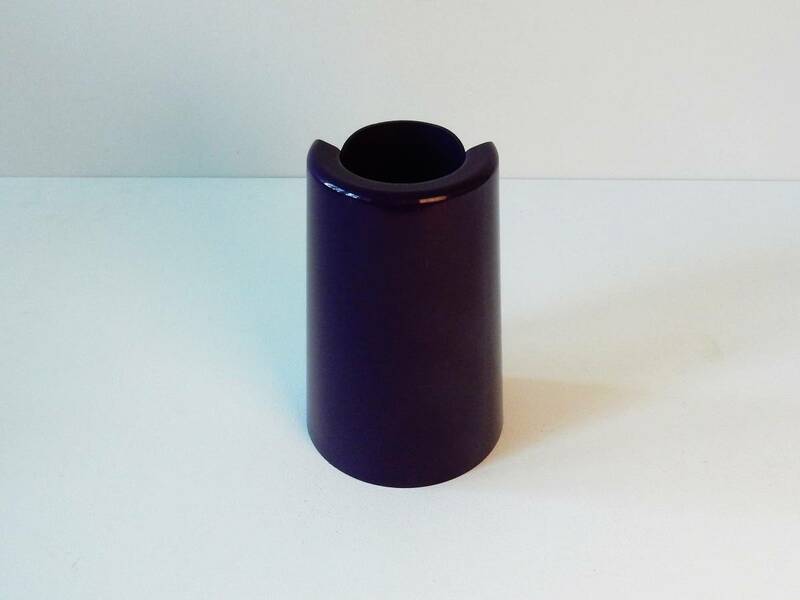 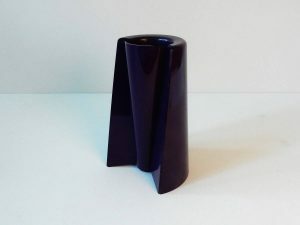 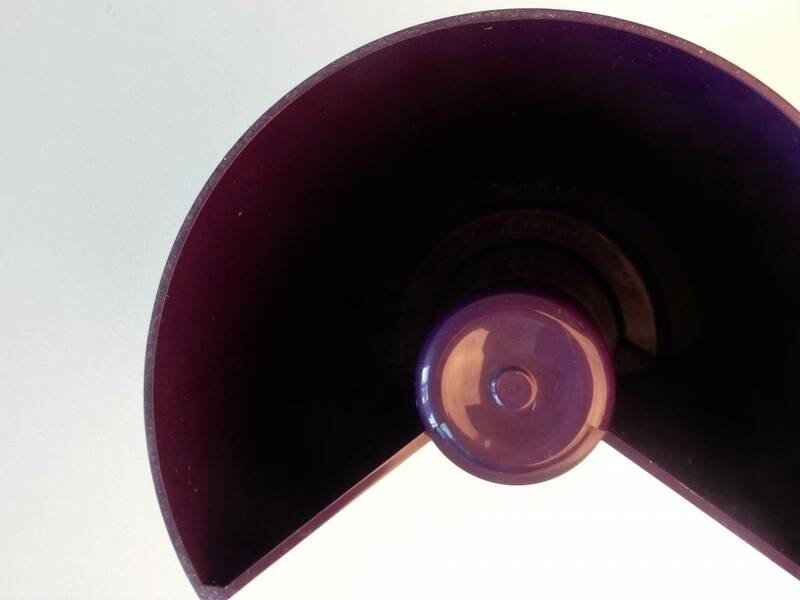 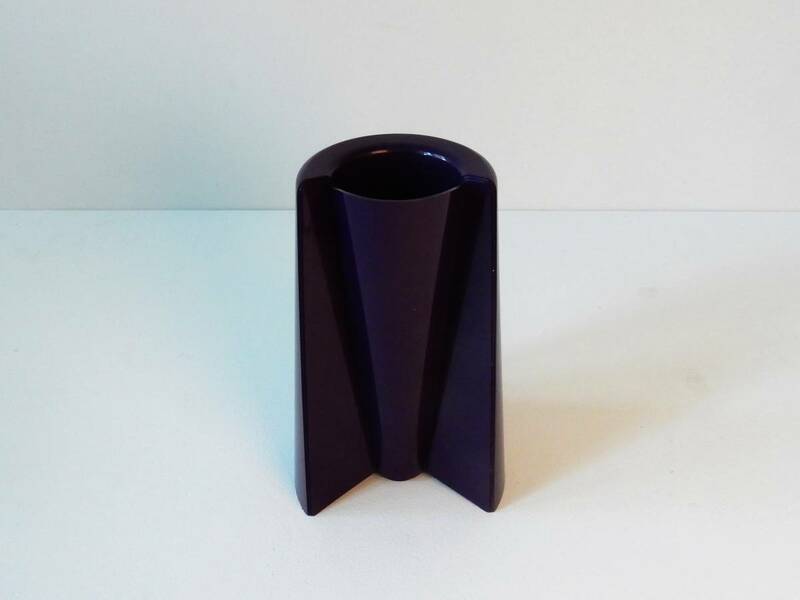 This Italian design vase is made of dark purple molded ABS. 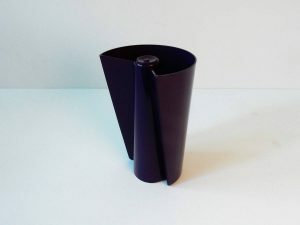 The vase can be used standing on either end. 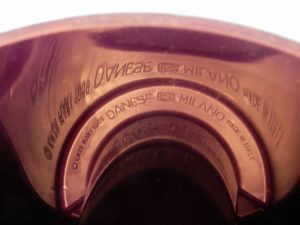 It is marked on the inside bottom and in a good condition with signs of age and use.